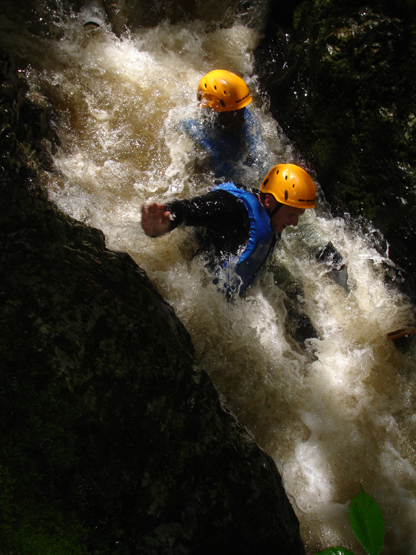 Stag parties and gorge walking equals loads of fun and excitement. 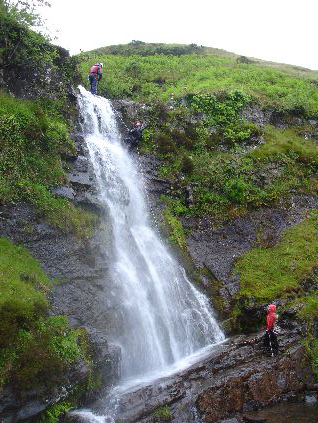 If you want something different for your stag party to do then why not try one of our gorge walks ranging from easy but fun to extreme and exhilarating. 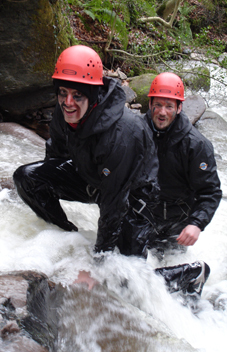 We offer discount rates for any stag party that books our gorge walks and we can also recommend great accommodation in Wales and the Brecon Beacon. We have group accommodation and bunkhouse accommodation that will cater for you and your stag party in the style that you expect, including communal dining areas and very comfy beds. Each of the gorges is completely different, some have jumps, some have small wormholes to crawl through, others have waterfalls that you can climb up and some even have an abseil involved. We can provide your group with all the excitement and fun you could ask for but always ensuring that you are kept safe and secure. 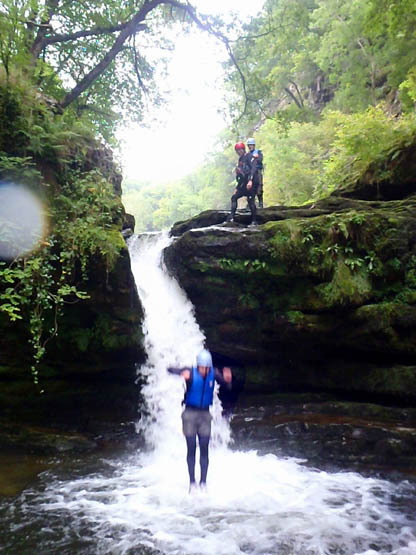 To ensure that everyone enjoys themselves, all of the elements in our gorge walks (the climbs, jumps etc.) can be walked around so no-one has to miss out because they have a fear of heights, tight spaces or deep water. 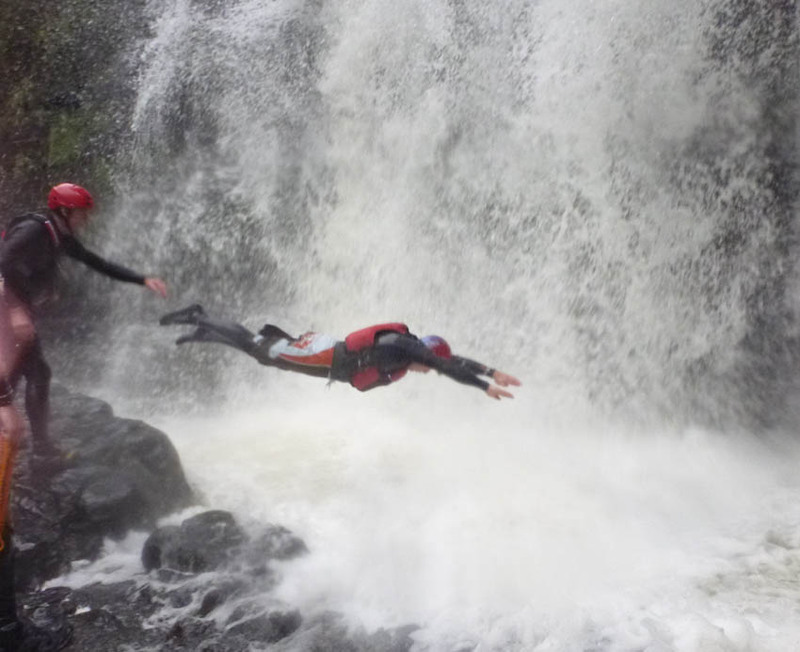 All our gorge walks are run with very experienced qualified instructors who are particular chosen for having a good sense of humour and an understanding of what stag parties want from their outdoor activities. 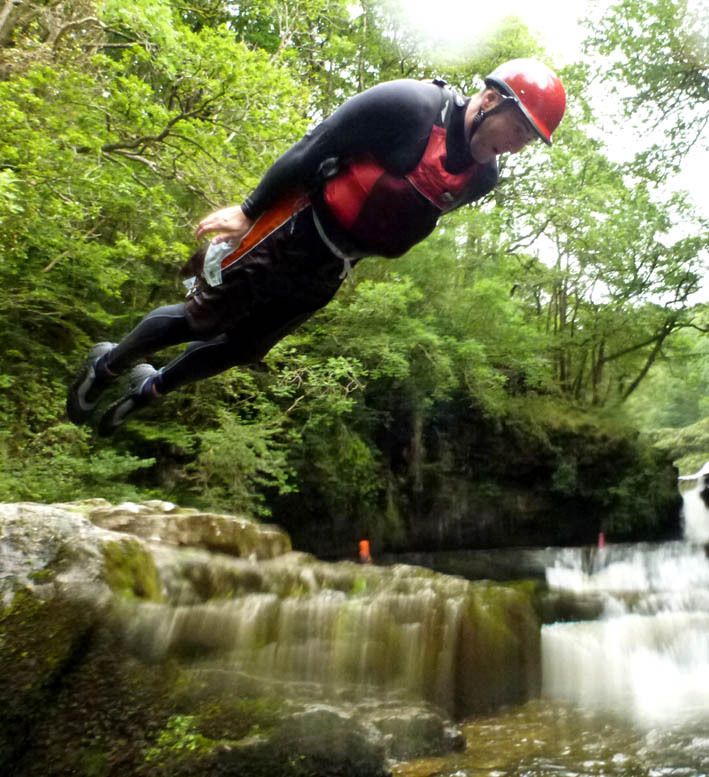 So if you fancy gorge walking in Wales and the Brecon Beacons then give us a call. 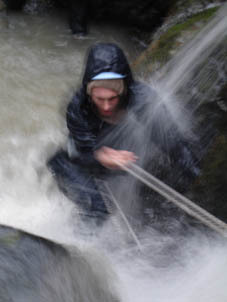 Hey, if gorge walking seems too strenuous then we can run a "Team Challenge Event" where your stag party is split into teams with each team competing against each other by solving puzzles, problems and challenges. These can be anything from launching eggs as far as possible using some very basic equipment to being the fastest team to all squeeze a very dodgy sausage. 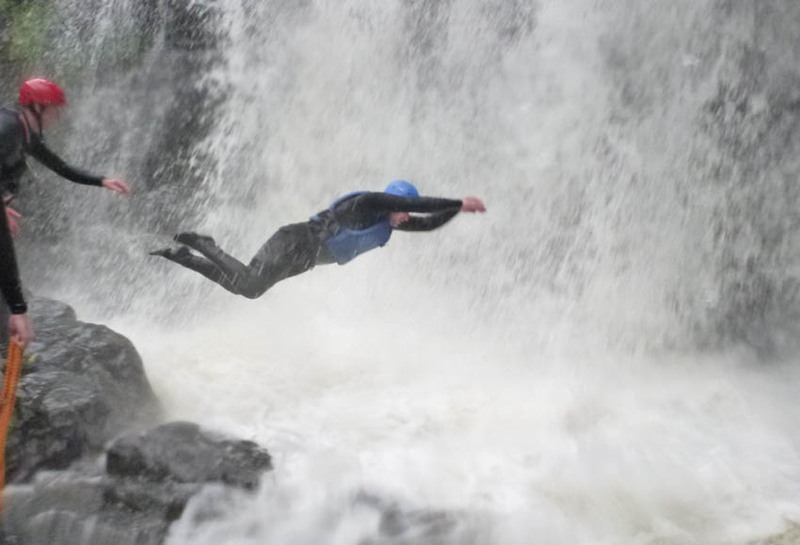 So if you want a fantastic stag party with the highest quality gorge walking run by hugely experienced outdoor instructors with a great sense of humour, then give us a call. 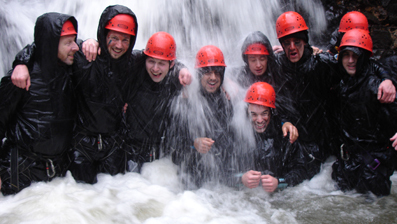 Stag Parties all love gorge walking, it is a fantastic way to get to know everyone and as a team bonding activity it is second to none. We operate on 6 different gorges across Wales and the Brecon Beacons so there is usually a gorge you can do only a short distance from your accommodation. All our gorge walks are run by our highly experienced qualified instructors who are particular chosen for having a good sense of humour and an understanding of what Stag Parties want from their outdoor activities We also offer discount rates for any stag party that books our gorge walks and we can also recommend great accommodation in Wales and the Brecon Beacon. We have group accommodation and bunkhouse accommodation that will cater for you and your stag party in the style that you expect, including communal dining areas and very comfy beds. 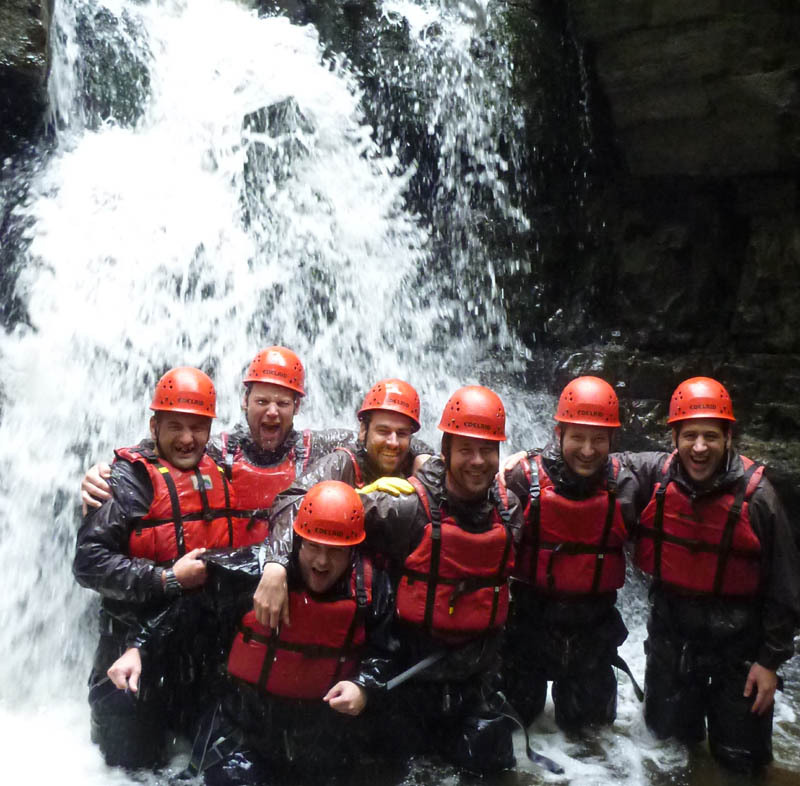 So if you want a fantastic stag party adventure, with the highest quality gorge walking possible, run by our hugely experienced outdoor instructors, then give us a call. 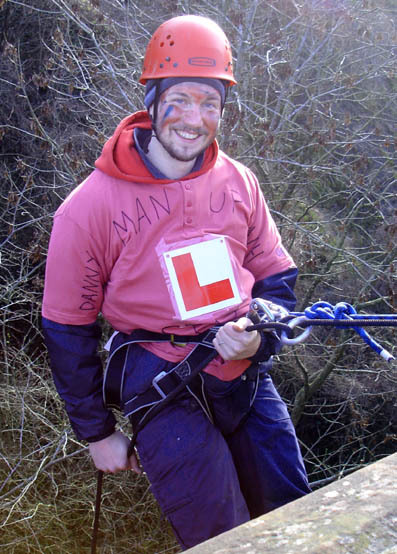 Thanks must go to Michael from Gorge Walking Wales for literally getting our Stag Do off to a flying start with abseiling off the old railway viaduct! Michael's calm approach alleviated any fears, allowing us to take the next LEAP of faith with a slack rope. A great lunch followed then on to the gorge walking. Again a few words of wisdom avoided daft mistakes, drowning and any injuries to the stag that may have put paid to the pub crawl later. Highly recommended for something very different. Thank you very much for these photos, they are a great reminder of a fantastic time had by every one. The feedback this morning back in the office is brilliant, as much for the ones that went but I can also see that the ones who did not qualify will really make sure they do next time. Thank you for all your help along the way in getting it organised and our guides for the day itself helped to make sure it was enjoyed by all, going out of their way to encourage even the most timid of person to do much more than they ever dreamed of. Hope to be in touch again in the future. Just wanted to say a massive thank you, we had an amazing time!! the gorge walking was SO much fun and everyone loved it. You did a brilliant job of challenging us and making the day great fun. I just wanted to say a huge thank you to you and your colleague for the fantastic gorge walking day we enjoyed on Friday. You were friendly and patient with us and we found it hugely challenging and rewarding. The whole party said they had a great time. Best hangover cure ever! Hello Michael, Firstly, i want to thank you and the team for a fantastic day on the river. 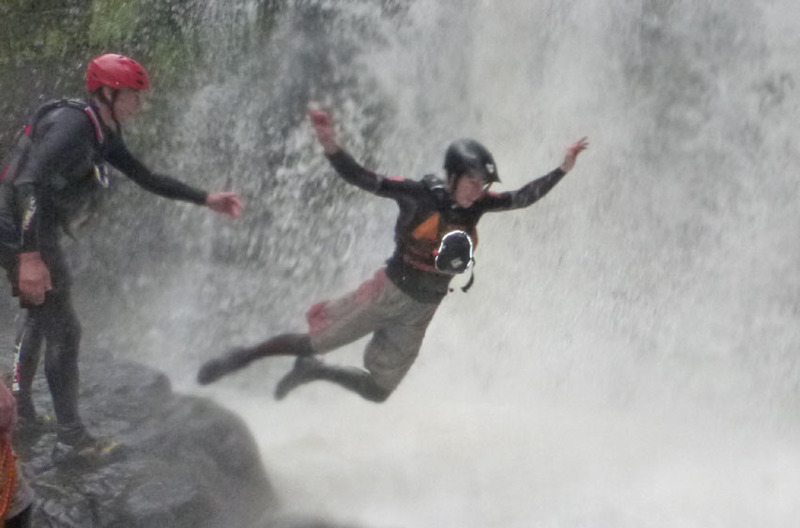 initially i was a bit sceptical about how exciting it would be (coming from an Army background), however, I was proven wrong as soon as we jumped into the waterfall at the beginning, and I will definitely be recommending it to my friends. Secondly I will be very grateful if you could forward the photos and videos of us to my address. Hi Michael, Thanks for a great Stag Do! It was just what I wanted and all the guys really enjoyed it, something a bit different. We had great fun building our accommodation for the night on the survival day and learning the various techniques of making fire. We all enjoyed the abseiling off a bridge and the gorge walking was brilliant. I would thoroughly recommend you for anyone who wants to have an alternative and very memorable Stag Do. Exhilarating, fast paced and fun, the gorge walk provided a great team bonding exercise and, despite some tricky challenges, the course is accessible to anyone who is up for a bit of fun! Professionally organised, resourced and instructed and very competitively priced, Life Changing Activities comes highly recommended by all 12 of our stag party!